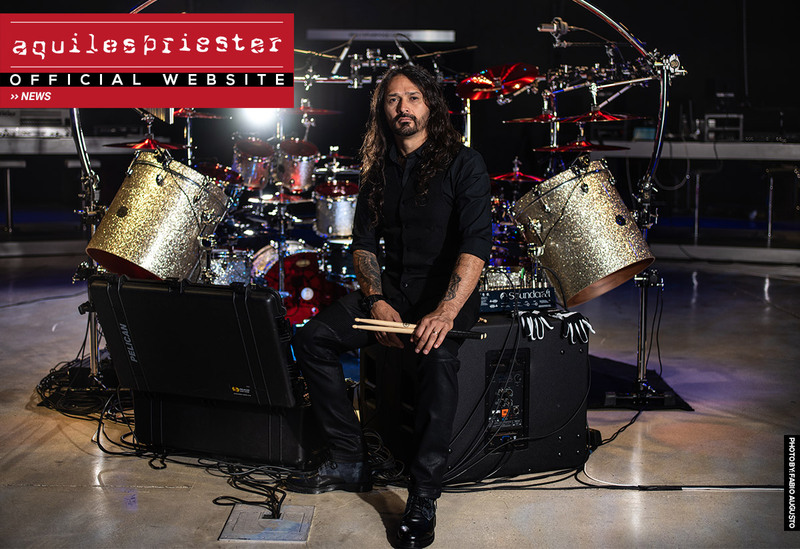 The pre-ordering of the “All Access to Achilles Priester’s Drumming” DVD & Blu-Ray starts on January 15, 2019. For the release to be even more special and differentiated, the Achilles fans will be able to include in advance purchase the ticket for a single session (exclusive and limited), of cinema in São Paulo, where the blu-ray will be shown in full. The drummer will also hold a launch workshop in São Paulo, followed by an autograph session. More details will be released by the drummer on his complete social network like Facebook, Instagram and YouTube. 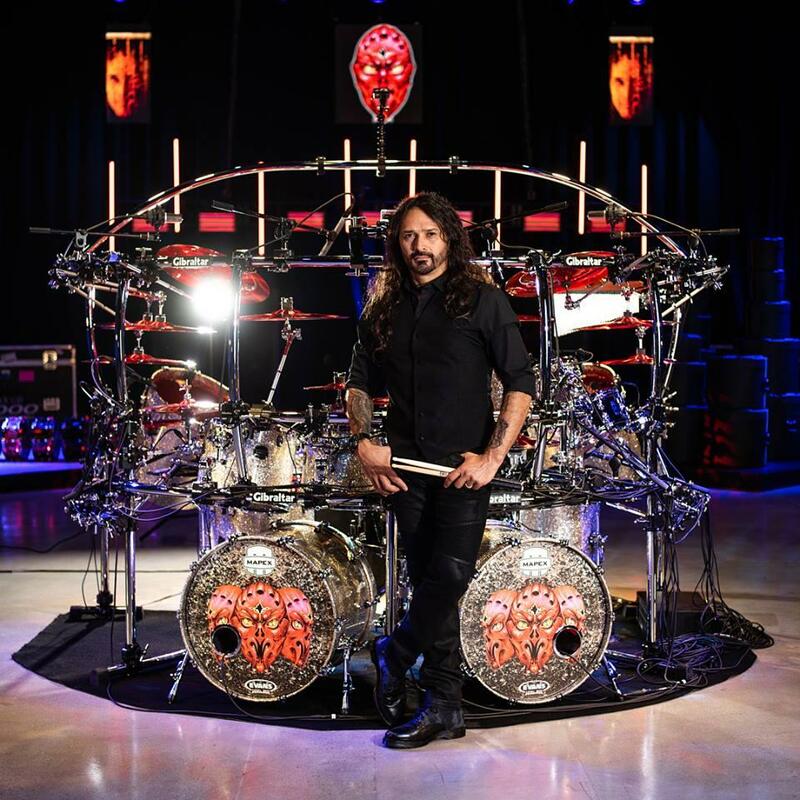 Aquiles Priester uses the following brands on all tours and events: Mapex Drums, Paiste Cymbals, Roland, AKG Microphones, JBL, Soundcraft, Gibraltar Hardware, Evans Drum Heads, Pro-Mark Sticks, LP Percussion, DW Pedals, SKB Cases, Xtreme Ears, Urbann Boards PsychoShoes, Power Click, Consulate of Rock and Lady Snake Rock Wear. I wish all of you these moments of peace and reflection, which are very important and necessary! I thank each of you for giving me another incredible year on my musical journey! And may 2019 bring us even more achievements, health and a lot of desire to make it happen. Never go back, ever! The only thing that can make us stop, it’s us, so let’s go together! 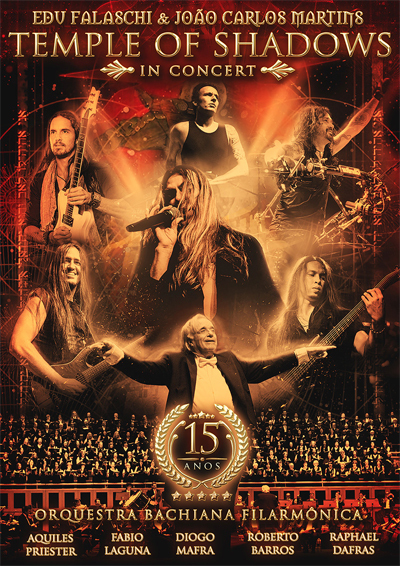 In celebration of the 15th anniversary of the Temple of Shadows album, renowned former Angra vocalist Edu Falaschi, along with the Bachiana Philharmonic Orchestra ruled by acclaimed conductor João Carlos Martins, proudly announces for 2019 the most historic and emblematic tour for the fans of Edu Falaschi and João Carlos Martins. To celebrate this union between Heavy Metal and Erudite, the Sao Paulo show, which will take place on May 4, 2019, at Tom Brasil, will be recorded in a video for worldwide release on DVD. Check out the service of the DVD recording show in SP below. The Temple of Shadows In Concert, which will glorify the union between the Heavy Metal and the erudite in an epic and masterful way, will fully tell one of the most important albums of Angra’s discography with Edu Falaschi and Aquiles Priester. In addition to the songs of “Temple of Shadows”, there will also be some iconic compositions from Edu’s career with Angra, works by important composers of erudite music, among other surprises in a format never seen in Brazil. More tour dates will be announced shortly. The current line-up formed by Edu Falaschi for his solo career is composed by Aquiles Priester (drums), Fabio Laguna (keyboards), Roberto Barros (guitar), Diogo Mafra (guitar) and Raphael Dafras (bass). “It’s a great dream come true for all of us musicians and fans of Temple Of Shadows to make a DVD with one of the world’s greatest orchestras by the unparalleled conductor João Carlos Martins, we will have an impeccable production, playing the album in full and with several guests special! I never imagined that my solo career would take that proportion, I only have to thank all those who have always been there for me! 2019 will be epic and unforgettable! “Said vocalist Edu Falaschi. 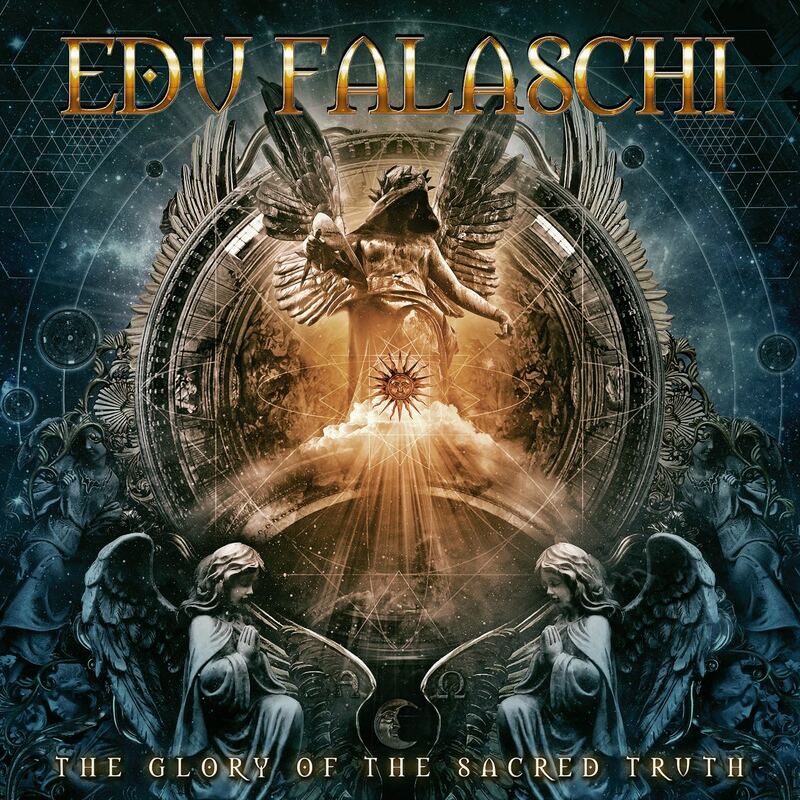 When: May 4 – Saturday at 10:00 p.m.
Edu Falaschi has just released the video for “The Glory of the Sacred Truth”, a track that is part of the EP of himself and features a performance by the musicians of his solo tour “Rebirth of Shadows Tour”. These unreleased tracks from the EP are the recordings in 10 years that Edu Falaschi, Aquiles Priester and Fabio Laguna perform together. The songs are “The glory of the sacred truth” and “Streets of Florence”. The unreleased video clip of “The Glory of the Sacred Truth” was recorded and directed by Junior Carelli of Foggy Films and was recorded in a helipad of a building in São Bernardo do Campo. “The Glory of Sacred Truth”, which is part of the spreading of the new work, with two unpublished songs. The EP all over the world on all platforms of Streaming, in addition to physical CD released in Japan with the recordings by the record label King Records. The Japanese release precedes the shows in Tokyo and Osaka that already have all the tickets almost exhausted. The current line-up formed by Edu Falaschi for his career is made by Aquiles Priester (drums), Fabio Laguna (keyboards), Roberto Barros (guitar), Diogo Mafra (guitar) and Raphael Dafras (bass). Edu Falaschi released these two songs and wrote as a way of thanking fans for the support of his “Rebirth of Shadows Tour” tour. This was written by Carlos Fides (Almah, Noturnall, Oficina G3, Scalene, Eterna, among others). Recently, the singer confirmed a return to Europe and Asia. So far countries like Colombia, Spain, Belgium, Italy and Japan have been confirmed. “A song is very strong, melodic and fast, a traditional” Power Metal “! I composed a song like the idea to continue the story, from Achilles and Fabio suffered during our times of Angra! The atmosphere of this song brings pros that a powerful and vibrant energy that makes people want to “shake” and express all their greatest emotions and fury! The letter mai is to be just in the heart to the mind of the mind! The song is about “Fake News”, which is very common nowadays when people, cowardly, try to inspire themselves to other things using lies and false information, is a horrible thing to do especially when you have no chance to defend yourself ! This world of the Internet, this world is easy, everything is very fast and all the lies turn into truth, which makes the TRUTH worth GOLD and be SACRED in the present day! 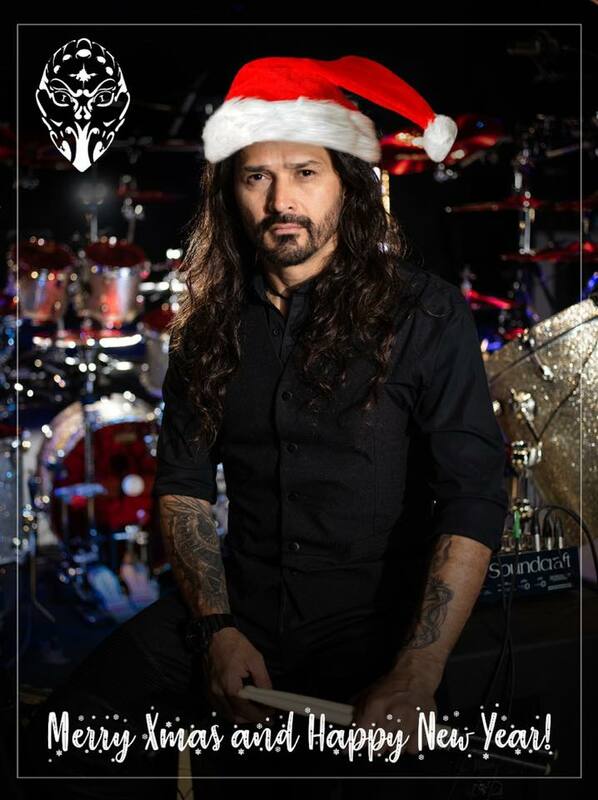 Aquiles Priester has just recorded a new DVD and will also be released on Blu-Ray at the Harman Experience Center in Los Angeles, California, United States. This is the first time that a Brazilian records at the Harman Experimence Center, which is currently endorsed by the Samsung brand. World-renowned artists such as Fall Out Boy and Michael Bolton have recorded at this beautiful venue. The record was recorded with 12 cameras and they managed to capture all the feeling and sweat of the drummer. The material was recorded by Foggy Filmes, designed by producers Junior Carelli and Rudge Campos, in partnership with Adair Daufembach who took care of all audio monitoring – Adair will mix and master the work. The DVD, still unnamed, will be released at the end of 2018 and will have the mission to overcome the last institutional work of drummer Aquiles Priester, “Top 100 Drum Fills”, which was voted the best DVD of the genre by Modern Drummer USA in 2014. In addition to the traditional institutional class of Aquiles Priester, the DVD will feature songs from Hangar’s latest album, “Stronger Than Ever,” plus songs from the three albums that the drummer recorded with Noturnall and two new songs to be released by the band who played the Rebirth of Shadows tour with vocalist Edu Falaschi. In total, there will be 17 songs that show all the competence and musicality of the drummer.